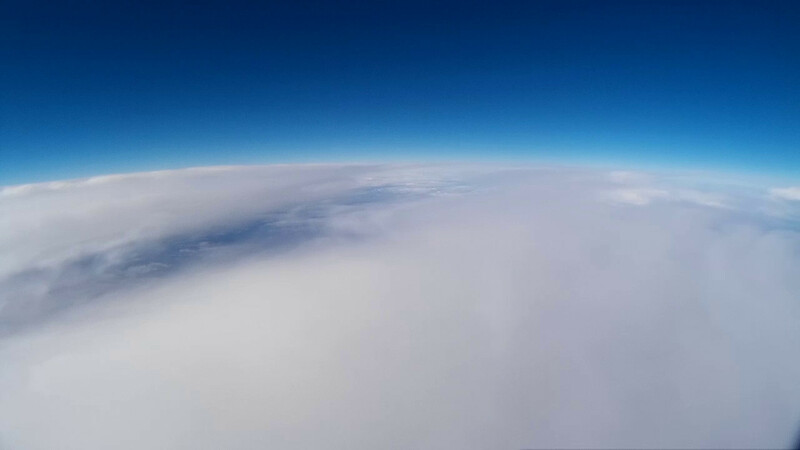 Stratosphere at around 30,000 meters above earth. 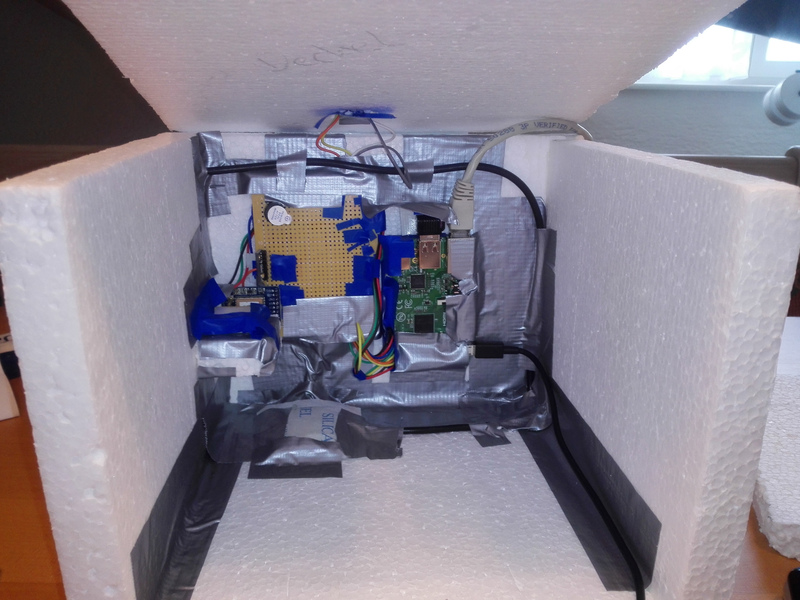 The probe that housed all the measuring instruments and the camera was built out of styrofoamâ„¢ and lots of duck tape. Basically, we built a box with three chambers. One for the camera, another one for the Raspberry Pi and the last one for the batteries. The most important thing is to use really good cords to attach the parachute and the box to the ballon. Otherwise, the cords might just rip apart. 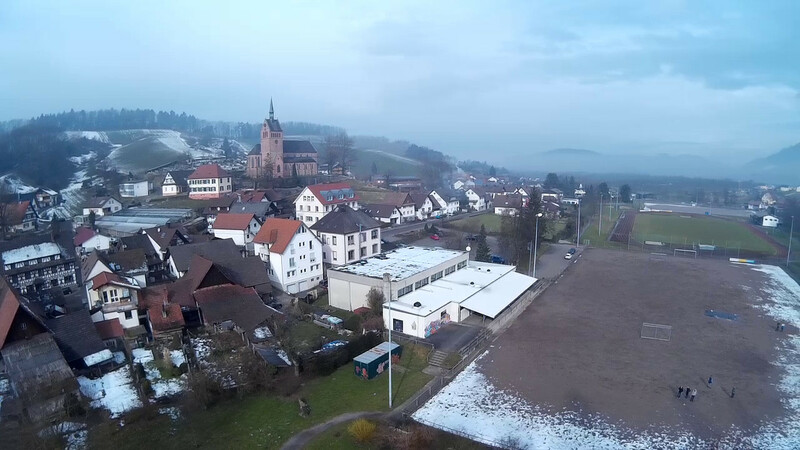 We launched our ballon on a sports field in Kappelrodeck, a small town in Germany. The weather was cold and there was still some snow left on the ground. 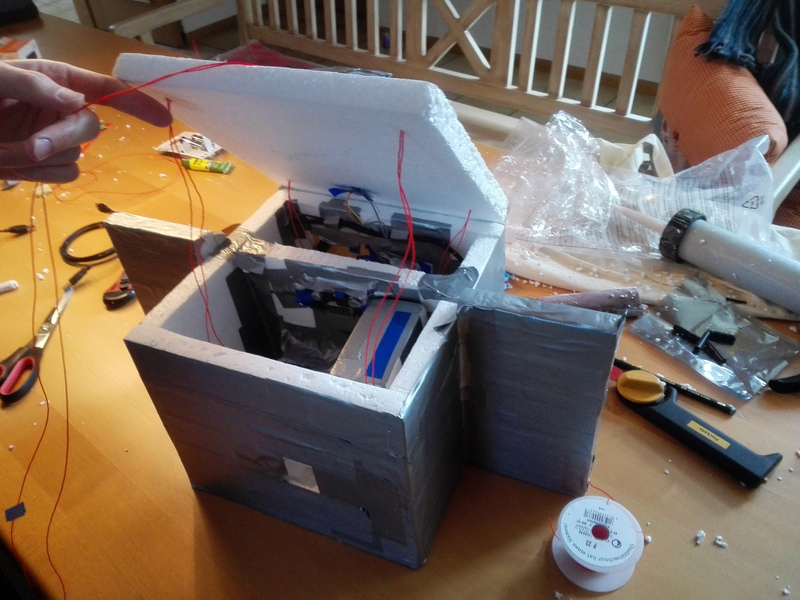 After we prepared everything, we started to fill the ballon with helium and powered up our measuring instruments. At around 11:15am, the balloon was ready to go and we let it fly. We immediately realized, that our probe weighed a bit too much, so the ballon went up much slower than we initially thought. 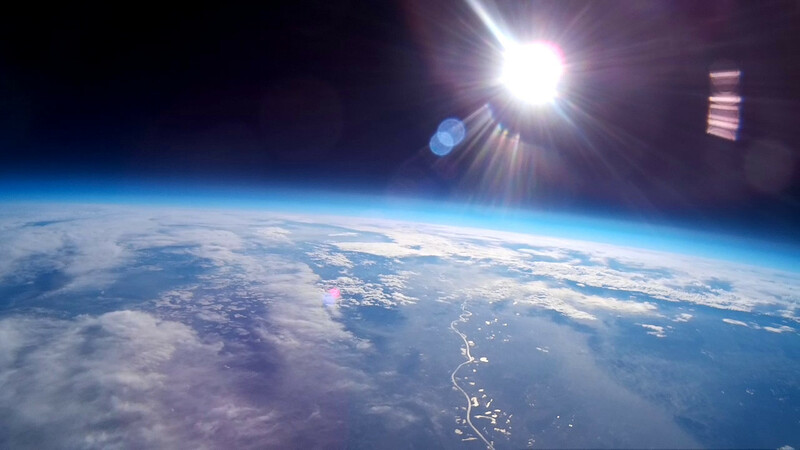 However, the ballon took just two more hours than planed to reach the stratosphere, so weâ€™d still call it a success. Based on our sensor data, we can say that the overall flight took about 5 hours. 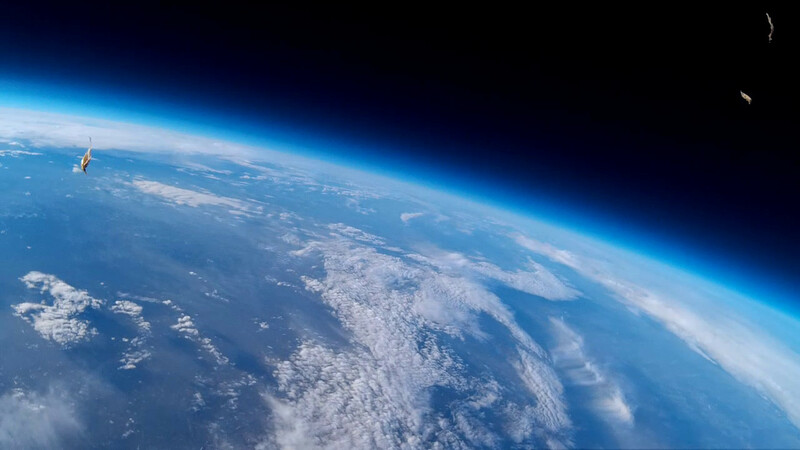 The ballon reached itâ€™s peak height of around 31,000 meters after 4 hours and 30 minutes, before it bursted and everything fell down to earth again. Unfortunately, the memory card in the camera was full after 4 hours and 50 minutes. So the last 20 minutes of the landing could not be captured. After a successful flight, the probe landed around 150km further north, in Wald-Michelbach, Hesse, Germany. After weâ€™ve got a signal from the GPS tracker, we immediatly drove their to retrieve the probe. 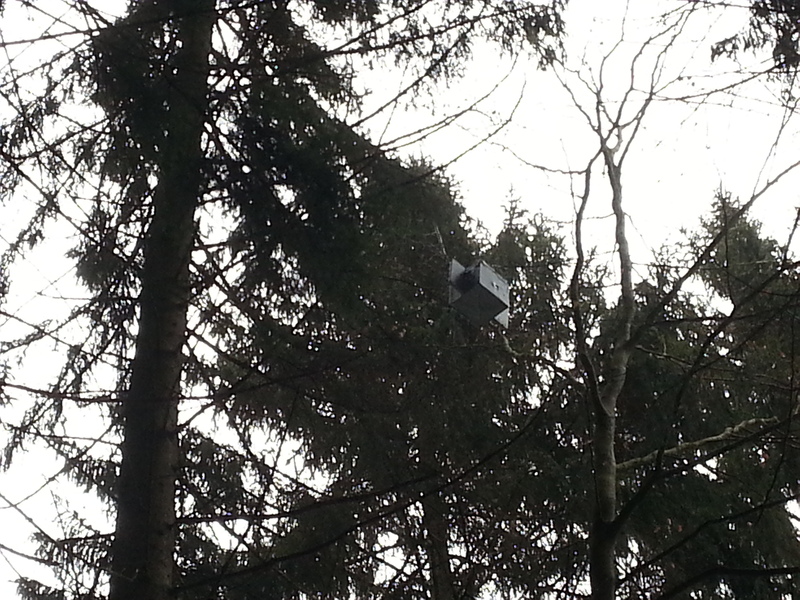 Unfortunately, the probe and the parachute hung in the trees in around 20m height. The local authorities helped us a lot, the forester aranged the cutting of two trees for us, because it was nearly impossible to get the probe down in any other way. 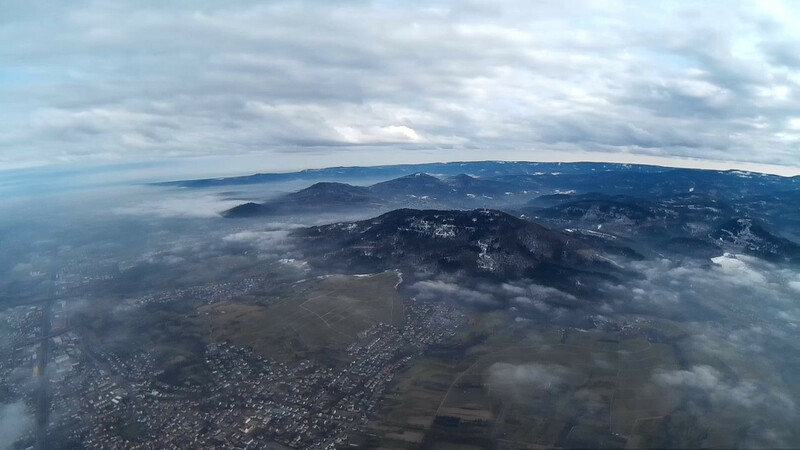 Our software recorded several 100,000 datasets during the flight. The data is encoded in JSON, that allows us to use the data in very flexible ways â€“ altough it adds a little overhead compared to a CSV format. In the end, we had a little more than 10 megabytes of JSON encoded sensor data and 32 gigabytes of video footage. You can check out the raw results here. Either watch the edited video on YouTube or the unedited video in full length.